Michael & Shannon Mills along with two Suzuki DR650 motorcycles and the spirit of a chihuahua named “Ducati” are currrently traveling round the world. They have been on the road for 830 days and have ridden 42,000 incredible miles. 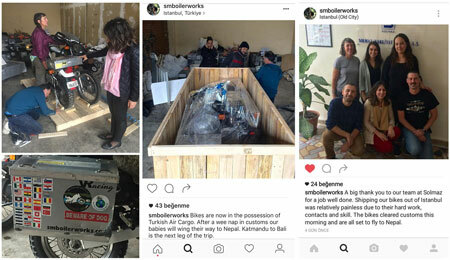 After their amazing trip through Turkey, Solmaz handled and transported their motorcycles from Istanbul to Kathmandu, Nepal.